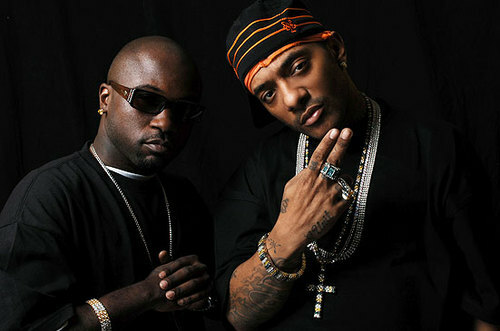 Prodigy and Havoc will embark on their U.S. Tour starting next week! Tour dates below. FRIDAY, AUG.12, 2011- HOUSE OF BLUES NEW ORLEANS, LA. SATURDAY, AUG.13, 2011- HOUSE OF BLUES HOUSTON,TX. SUNDAY, AUG.14, 2011- HOUSE OF BLUES DALLAS,TX. TUESDAY, AUG.16, 2011- THEATRE OF LIVING ARTS PHILADELPHIA,PA. SATURDAY, AUG.20, 2011- (ROCK THE BELLS) SAN MANUEL AMPITHEATER SAN BERNARDINO,CA. SUNDAY, AUG.21, 2011- HOUSE OF BLUES SAN DIEGO,CA. MONDAY, AUG.22, 2011- HOUSE OF BLUES LAS VEGAS,NV. SATURDAY, AUG.27, 2011- (ROCK THE BELLS) SHORELINE AMPITHEATER MOUNTAIN VIEW,CA. TUESDAY, AUG.30, 2011- EGYPTIAN ROOM INDIANAPOLIS,IN. WEDNESDAY, AUG.31, 2011- BOGART’S CINCINATI,OH. SATURDAY, SEPT.3, 2011- (ROCK THE BELLS) GOVERNOR’S ISLAND, N.Y.
THURSDAY, SEPT.8, 2011- HOUSE OF BLUES CLEVELAND,OH. SATURDAY, SEPT.10, 2011- (ROCK THE BELLS) MANSFIELD,MA. TUESDAY, SEPT.13, 2011- THE FILMORE MIAMI BEACH,FL. THURSDAY, SEPT.15, 2011- TABERNACLE ATLANTA,GA. FRIDAY, SEPT.16, 2011- HOUSE OF BLUES MYRTLE BEACH,S.C. SATURDAY, SEPT.17, 2011- THE FILLMORE CHARLOTTE,N.C.